Ask fellow campers about "Edgar Evins State Park" and nearby attractions. Beautiful park with great scenery. Would have given it a ten except there are only two spots for a 40 foot fifth wheel. Very unique parking on platforms. We camped at Edgar Evins State Park in a Fifth Wheel. Sites are very unique in they are all on platforms. Some have a slope up or down to a very level site. I would follow the website recommendations for size of RV. Our site is listed as 28' X 24' and we had plenty of room for our 26' MH and the Jeep beside it. The Park's WIFI did not work at our site, but we could pick up signal from marina. AT&T signal of 3 bars. Water and Electric was fine. Bath house very clean. No hooks in shower stalls. 4 OTA public TV stations. Roads in the park are steep but very manageable. We camped at Edgar Evins State Park in a Motorhome. Stayed in Site 54. 53 -- 60 are in the area where it is possible to scramble down to the lake. The other sites are over bluffs and not possible to access the water. 54 was long enough to accomodate our 30 foot fifth wheel. Disconnect and park vehicle on the side of the road. Just enough room. Water and electric worked great. We like this park very much. Love the way the sites are built out on platforms. Never seen another park like this one. 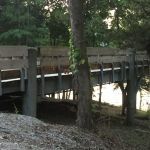 We camped at Edgar Evins State Park in a Fifth Wheel. We rented a bass boat one morning, only $25.00 an hour, which I thought was a deal. Walked the one mile, hilly trail to the Marina to have dinner on Sunday night. Average marina food, the convenience was nice. The campground is very nice and clean, but for the rate they really ought to have sewer hookups. They had newer looking wifi, and I had signal, but the internet was down the whole time we were there. The showers were clean but pretty dated and leaky. Water hookups were not turned on, but the frost proof hydrant at the front was on. Took several hoses to reach, didn't seem like a big deal to have turned on the water for campers using those sites. We camped at Edgar Evins State Park in a Travel Trailer. Lot's of options in Cookeville. All sites will accommodate campers up to 30 feet, a few sites go up to 35, and only 4 are sized for 40 feet. Our travel trailer is 28 feet and we fit comfortably in a 35 foot site but parked our truck next to the camper. Restrooms are a little older but very clean and well maintained. The sites are platforms - tight for big trailers, but worth the views. Some of the smaller sites only have utilities on the left side (drivers side if backing in), so make sure you have extension cords and long hoses. The staff is very friendly. Fly fishing info and supplies at a store at the park entrance. This is a boater's park. Weekends book up, but rangers said it's quiet and easy during the week. Can be busy and noisy on holiday weekends. We camped at Edgar Evins State Park in a Travel Trailer. Pretty park. 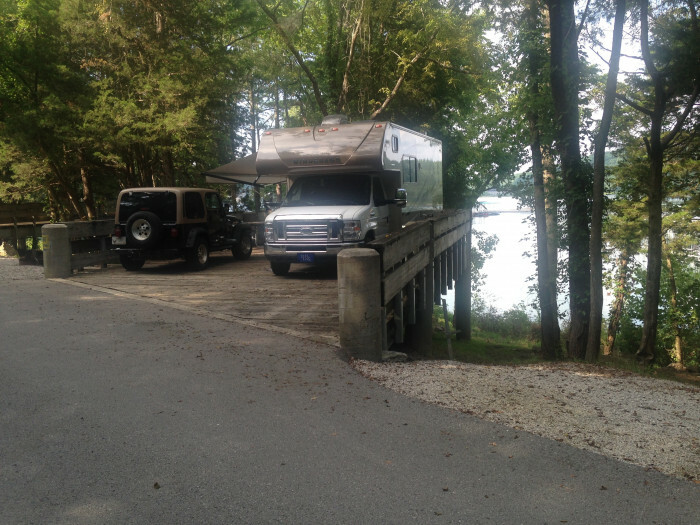 VERY unique sites, ours was built on a thick |wooden| platform (supported by huge steel beams and concrete columns) sticking out over a bluff above the lake; super-strong, held our 38' motorhome. Properly placed hookups, our site actually had water spigot on both sides. Limited car parking at site. Spaces are size-limited, most no more than 28' but our site (#39) was long enough for at least a 40'. Check reservation site closely and choose the correct one. 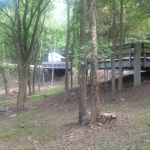 Clean bathhouse, nice views of lake, partial shade, playground, boat ramp, open year round, park wifi, good cell signal on ATT and Verizon. Great state park ranger / law enforcement patrol (saw them around 24/7, thanks guys!). We would def stay here again. Caution = place is HILLY. Very steep driving in/out of campground, unhook toad at the office if not before. We camped at Edgar Evins State Park in a Motorhome. A quiet and beautiful camp. We stayed in campsite 39. It was level and water and electric are conveniently located. The camping platforms are unusual but are flat and afford beautiful views. WiFi is available but really slow. No Verizon service. We look forward to another stay. We camped at Edgar Evins State Park in a Travel Trailer. Beautiful park. Wonderful two day stay. Unusual wooden ramps make very nice camping pads. Hookups were very well done. Only down point is no sewer hookup. Park is somewhat isolated. We were only a few feet from the river. Very clean. Narrow, looping, and somewhat steep road may mean difficult maneuvering for large rigs. No problem for our 21' camper. We will return. We camped at Edgar Evins State Park in a Travel Trailer. The sites are wooden platforms and all have a view of the lake. It's a strange setup and the roads are narrow and winding. I would not bring a very large rig in here but the park is beautiful and a very good value. We camped at Edgar Evins State Park in a Motorhome. Wow! That was our first thought when we pulled into this campground. The sites are built on platforms that are jut off the cliffs! 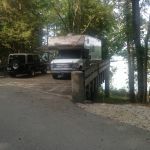 The roads can get narrow and tricky and some of sites just will not accommodate certain rigs, but, it was worth the effort, we parked our 27' RV on site 48 with a beautiful view of the marina and a very short walk to the cliffs over looking the lake. We had a road in front of us that made it a little easier navigating into and out of the site. The bathhouses were nice and clean. The campground host was very sweet. Very quiet. This is one very unique place to camp. We loved it! Would stay here again if in the area. We camped at Edgar Evins State Park in a Travel Trailer. I absolutely love this park. It's always clean and well-kept. I have been going here for 10 years, and even though I've moved 2 hours away, I will continue to return! We camped at Edgar Evins State Park in a Tent. A beautiful park. A few platforms are long enough and flat enough for our 38' motorhome. We placed ours on an angle. It was a unique way to hang out over the lake and trees. The shower house was clean, and warm with plenty of hot water and water pressure. There is very good food at Park's Marina Galley restaurant. There are beautiful vista views from visitor's center. Be careful to check wooden platform for nails before parking since tenters often use nails to hold down tents. Great price since it accepts 'America the Beautiful Access Pass'. It is open all year -- we shared entire campground with only one other motorhome. We camped at Edgar Evins State Park in a Motorhome. 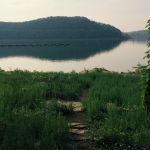 Edgar Evans State Park is set on the shores of Center Hill Lake, where innumerable steep, folded hills offer outstanding scenery. 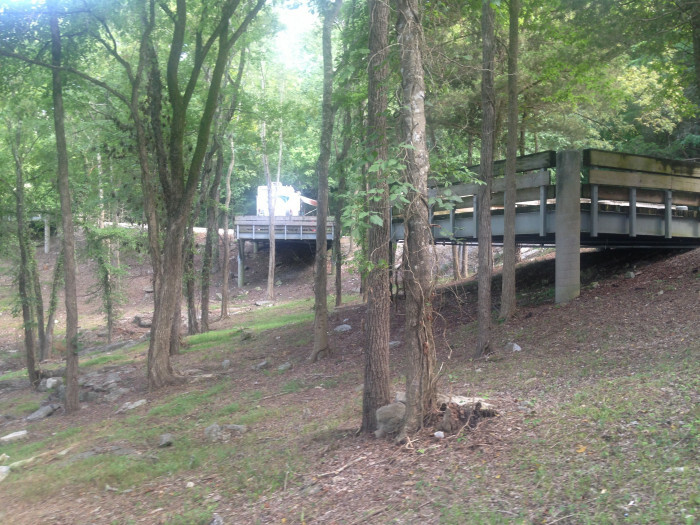 Because of these steep hills, campsite constructions is very unusual where large, level, wooden camping platforms supported by concrete and metal poles extend from the steep sloping hillside. So, you literally pitch your tent or park your RV on a wood deck. The picnic tables are on the platform, but the upright grill and fire rings are on the land, by the platform. Better not build a fire on the deck! This platform setup literally has campers hanging out in the trees. Low wooden fences border the platforms to keep you from falling off or driving off them. These campsites are great for tenting and some travel trailers, but are not big rig friendly. 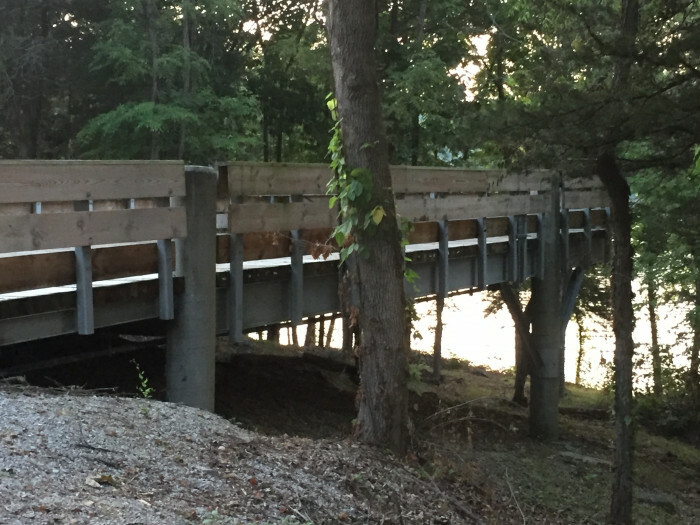 While the decks are level, most all of them are above or below road level. So you will most likely drag when parking on the campsite. Campground roads are difficult to drive in a big rig. Rest of park is great, but I will not return to this campground in a big motorhome. We camped at Edgar Evins State Park in a Motorhome. Are you affiliated with Edgar Evins State Park ?